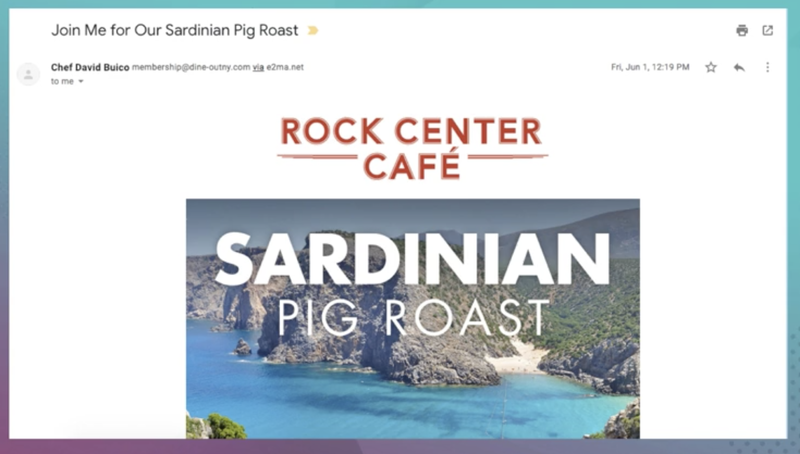 Rachel also achieves fantastic results by personalizing emails at Patina, and sometimes she even makes the from name “Chef David Buico”, executive chef at Rock Center Café and Summer Garden & Bar. 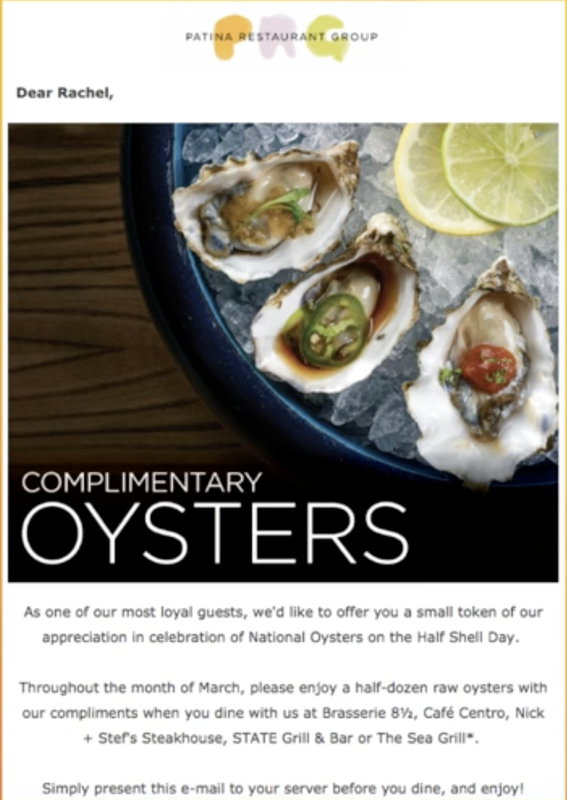 Those personal emails from the chef also result in higher opens. 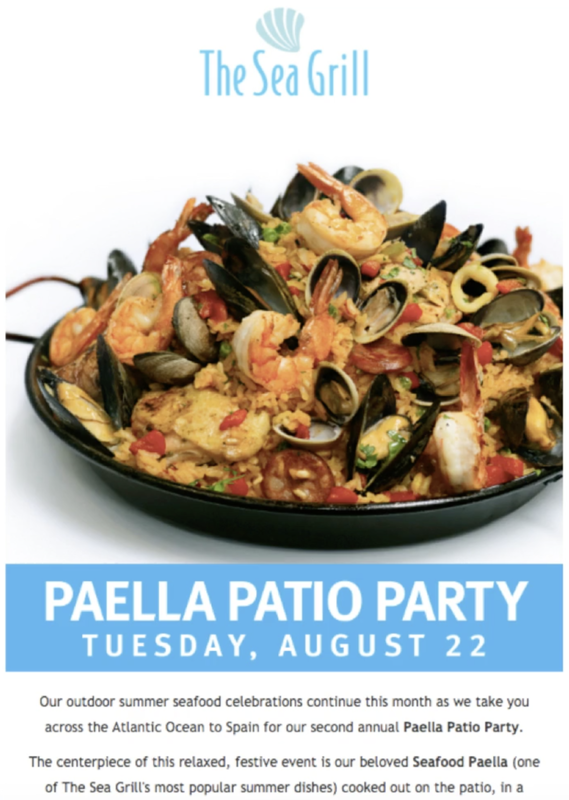 But Rachel is careful to not overdo it and use the chef’s name all the time—only when it makes sense for the message and feels authentic. 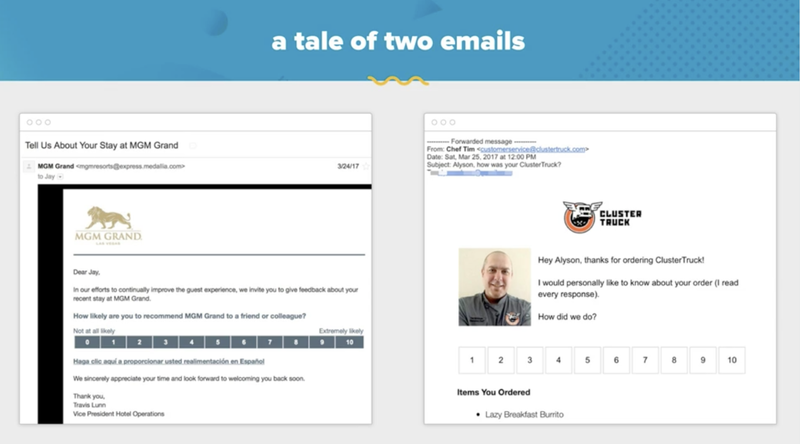 Rachel tests her emails at Patina, and she often has to re-test to achieve clear results because her list is (relatively) small. 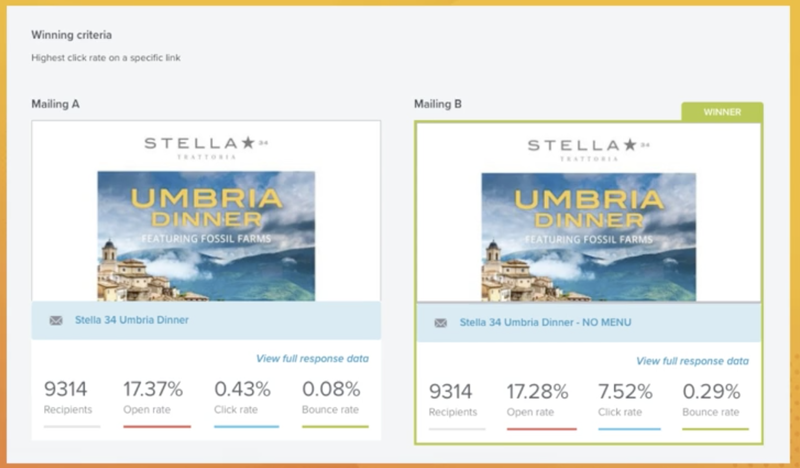 In this example below, Rachel A/B tested an email with a menu vs. an email without a menu. But benchmarks will only tell you so much, and if all your care about are averages, then you’ll always be an average marketer. 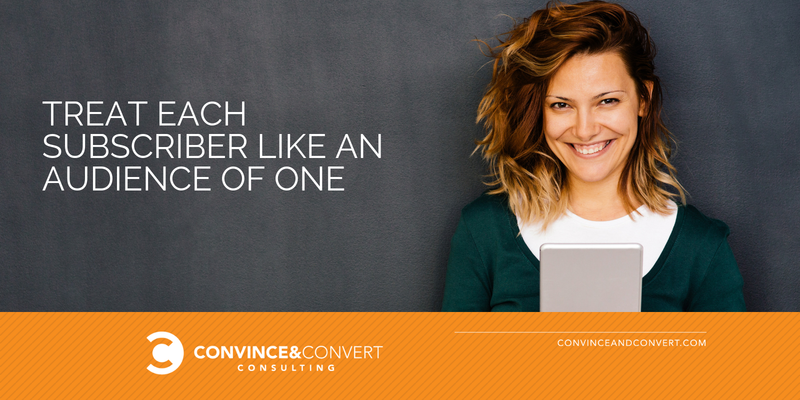 Because really, who is satisfied with a 3.37% click-thru rate? 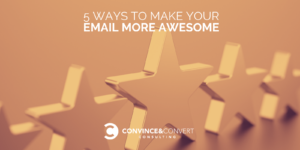 So if you want to truly stand out with your email marketing, watch the entire reply of 5 Ways to Make Your Email Marketing Awesome with Jay, Rachel, and our friends at Emma. It’s fast, it’s fun, and even if you’ve been in email marketing since when there were 4 email service providers instead of 400, I promise you’ll take away actionable ideas to make your email stand out and be awesome.